recommended for: Fans of Passenger by Alexandra Bracken who want an upgrade, Doctor Who, and whimsical but super badass time travel mysteries. Nix has spent her entire life aboard her father’s ship, sailing across the centuries, across the world, across myth and imagination. As long as her father has a map for it, he can sail to any time, any place, real or imagined: nineteenth-century China, the land from One Thousand and One Nights, a mythic version of Africa. Along the way they have found crewmates and friends, and even a disarming thief who could come to mean much more to Nix. But the end to it all looms closer every day. Her father is obsessed with obtaining the one map, 1868 Honolulu, that could take him back to his lost love, Nix’s mother. Even though getting it—and going there—could erase Nix’s very existence. For the first time, Nix is entering unknown waters. 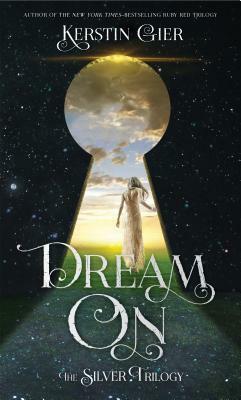 She could find herself, find her family, find her own fantastical ability, her own epic love. I could sum up this review by saying "Kashmir" with a swoony face, but I'll give you more than that. I'll preface by saying that I don't usually like time travel books and I don't usually like nautical books. This is strange, since I often love those features in movies, but for some reason I shy away from them in fiction. So it's good that a friend whacked me on the head and told me to read this, because it's absolutely freaking brilliant. It's not only a good time travel book, not only a good nautical book, but a solid piece of fiction. It's what I wanted Passenger to be, and much more. Heilig's writing elevates this book from fiction to literature, as it were. I'd read a napkin if she wrote on it. Her prose is clear and tight and lovely, painting vivid images and weaving webs of loveliness without seeming tryhard. It's poetry without purple, relying on clever construction, sharp dialogue, and unexpected turns of phrase for its beauty, rather than a mess of adjectives. Her characters are multifaceted and knowable. They reveal themselves in snippets of banter and meaningful looks. Nix is a brilliant and pragmatic adventurer with a love of the unknown and a hardness that's her armor. Because her father is a drunk dreamer obsessed with time traveling to his now-dead wife, and Nix has no delusions about their relationship. There is the charming English boy who captures Nix's attention with his mischief, the confident first mate who speaks to her dead wife, and various other people dastardly and mysterious. Did I mention Kashmir? Um, melting, now. He was a thief in an invented Middle Eastern land, now a ship boy with a silver tongue, quick laugh, and penchant for shocking cool Nix out of her stoicism with a well-timed innuendo. He and Nix share a friendship founded on trust and mutual respect--shocking how that works, eh? Add them into Heilig's fantastically original world. The Captain can not only time travel, he can world travel. All he needs is a map. It's the cleverest version of time hopping I've ever read, and Heilig explores all its possibilities while also setting firm rules, avoiding the wishy-washy-ness you get with magic sometimes. The Captain can go to any map real or imaginary, so long as it is detailed enough and has a place and a date. That could be 1907 San Francisco, or it could be 500s Camelot. But once he has used a map, it's done. And when the Captain finally finds the map to his wife's time, the destination isn't what anyone expected. Heilig paints a vivid portrait of Honolulu back when there were kings. It's a world I knew little about, richly detailed and exciting to explore, with ghosts and opium dens and the beauty of a dying culture. It's a place where Nix and her friends may be in danger, but what and from whom is uncertain. There are ghost stories and secret trysts, garden parties and smuggling. I won't say too much. It's a thrilling pirate-y tale tinged with the darkest possibility: that finding Nix's mother will change the past just enough that Nix will be no more. I can't recommend this book highly enough. Beautiful, intricately plotted, and atmospheric, it's a story that fills your soul with adventure and captivates on every page. 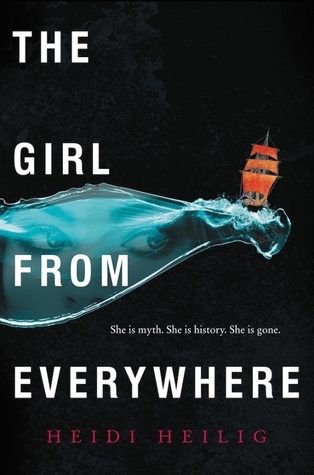 The Girl From Everywhere is a remarkably unique take on time travel that offers adventure, intrigue, and a deep exploration of love and loss. will i read this author again? Yes! Need more now! Note: I received this copy in exchange for a review. The price of the book and its origin in no way affected my stated opinions.